Sunrise MarketPlace is the place for fun events and activities; we always have something going on! Check our calendar today. The Sunrise Mall Farmers Market is a year-round, rain or shine California Certified Farmers Market. The market will run every Saturday from 8 AM to 1 PM. 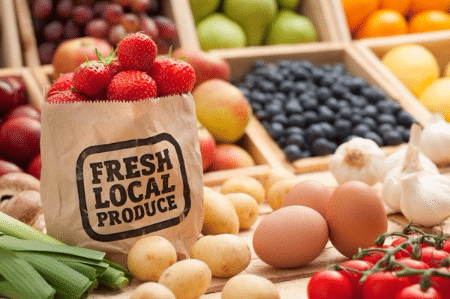 Aside from locally and organically grown fruits and vegetables the market will also include specialty food vendors including pastas, breads, salsas, hot and ready to eat prepared food, pre-packed food, etc. At this market you can expect live music, cooking demonstrations, artisan and craft fair events, health and wellness fairs, and so much more. Dog friendly, too- fun for the whole family. Trivia Nights at Elephant Bar! Save the Date! Spring Celebration!